These stairs look gorgeous. 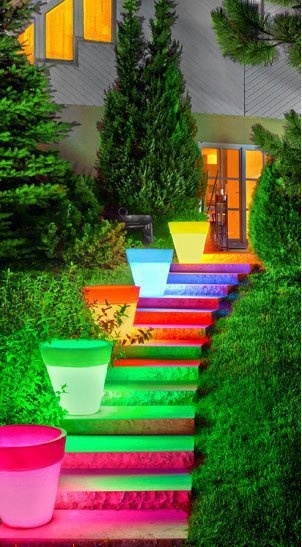 The color of the stairs is given by the buckets which are in place with colorful bulbs inside it. This looks great!